We Are NAID Certified. It Matters! NAID, The National Association for Information Destruction, is an organization whose mission is to promote the information destruction industry and the standards and ethics of its member companies. The NAID AAA Certification Program is a voluntary program for NAID member companies. Through the program, NAID members will be audited for mobile and/or plant-based operations in paper or printed media, micro-media, computer hard drive destruction. The certification program was developed by information security professionals and is recognized by thousands of private and governmental organizations around the world. 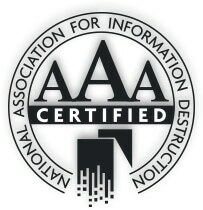 This rigorous process means information destruction companies, like Shred360, who have attained AAA certification, adhere to the highest standards, meet the strictest guidelines and fulfill the extensive criteria necessary to ensure the security of confidential material throughout all stages of the destruction process. It matters because NAID Certified Shredding Companies follow the strictest guidelines in the industry. Certified Secure Destruction Specialists. We Have Four! In 2010, NAID launched the Certified Secure Destruction Specialist® Accreditation Program to promote and acknowledge an individual’s competency in a range of subject areas related to the secure destruction of information and the secure destruction of other items. 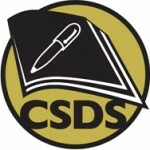 This is separate and distinct from the NAID AAA Certification Program, which applies to an organization, whereas CSDS applies to an individual. Shred360 is proud to say we have four employees who have sought and received the CSDS accreditation – James Christie and John Anderson, followed most recently by Cam Caudle and, Ryan DuBose. Shred360 is also proud to say that we believe that we are the ONLY secure document destruction company that can boast of Four CSDS accredited team members! We think this kind of certification program is immensely important because it demonstrates that we are willing to hold ourselves to a highest standard in the industry. Shred360 sets the industry standard by going the extra mile to become both AAA Certified through NAID and the CSDS accreditation programs. This certainly sets us apart from other destruction companies. We feel the certification process is the backbone of our continued success.